Next PostLeaked: is a new Sound Devices MixPre-10T coming soon? Nice list, thanks for taking the time to write it all out. It is amazing how fast it all changes. Especially Tascam with the various smaller recorders. I’m curious as to what are your thoughts are on the small new Lectrosonics PDR? Hi Guy! I recognise your email address 😉 Have seen some of your stuff before, such as the F8 video you did a couple of years ago (the Dave Patterson commentator on that video is not the same person as this David Peterson! Funny semi-coincidence though). Yes, over the last few years we’ve seen some amazing changes in the sub $1K market for location sound recordists! First Tascam with their DR60D/DR70D/DR680. Tascam actually has quite a long history here, such as their Tascam HD-P2, which was the cheapest 2 track recorder with time code when it came out over a decade ago (shout out to Roland R-44 as well, of more recent vintage. And then there is the Roland R-4 Pro, which would have been the cheapest 4 track recorder with time code, although that is double the budget of the sub $1K ones we’re considering here). 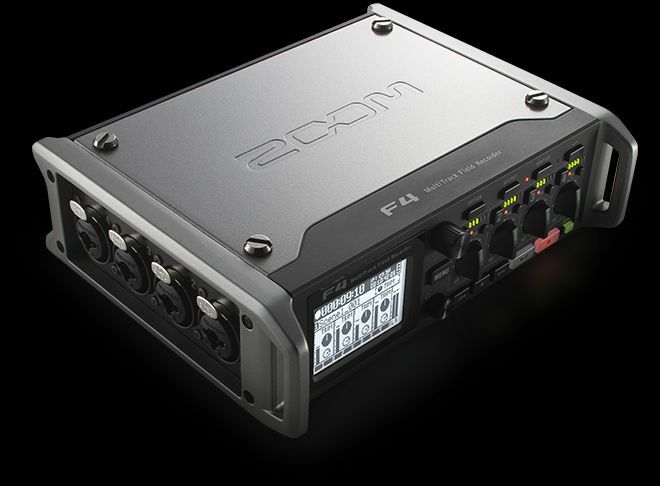 Then the absolutely astoundingly feature packed Zoom F4 / F8 (and now this year the MixPre3 / MixPre6 from Sound Devices also entering the game). An amazing time to be alive for anyone entering the world of production sound! It is not as talked about as the HDSLR Revolution however, which is the other big game changer for the low budget indie film world. As it is terrific giving everyone access to high quality filming with their stills cameras. But what good is pretty pictures without good sound? However if for whatever reason this is not an option (perhaps you only need a Lectrosonics PDR occassionally, so not worth spending heaps on Zaxcom), then the Lectrosonics PDR is certainly the next best option on the market for personal bodypack recorders. But for most people reading this article (who are considering sub US$1K field recorders) the idea of spending the same amount of money on just one bodypack recorder probably feels a bit insane! Biggest downside to using the Tascam DR10L vs Lectrosonics PDR (other than the quality you’d come to expect from a brand name such as Lectrosonics): is you lose time code capability, which is the DR10L lacks. While you can jam TC with the PDR, which obviously a very handy feature. What an amazing piece. Mr Peterson, could you please elaborate on why the Roland R-88 is a poor choice when compared to the Zoom F8n? Still, prior the arrival of the F8 the Roland R88 would have been one of the best low budget buys there is on the market. But the impact of the F8 is hard to understate, as it was a game changer for the low priced recorders on the market.